...including its first non-lawyer promotion to Equity Partner. Following its recent status change to an ABS (Alternative Business Structure), Buss Murton is pleased to announce that Alex Smith, Practice Manager has been made Equity Partner of the firm. Furthermore, Edward Walter, a senior Solicitor and Partner heading up the Private Client Department has also been promoted to Equity Partner. Two further senior appointments have been made with Helen Batt being promoted to Partner within the Property Team and Melanie den Brinker becoming Partner within the Family Department. The status change to an ABS allows professionals with business backgrounds and non-lawyers to become Equity Partners and therefore owners of the business and reinforces Buss Murton’s meritocratic culture and commitment to giving all of its staff equal opportunities for reward and career progression. Alex Smith joined Buss Murton in 2007 as a Business Analyst. He then headed up Buss Murton’s IT and Management Information team and then became Financial Controller in 2013. He was appointed as the firm’s Practice Manager in 2015, in charge of the Finance and Operations functions. He has an in-depth knowledge of the business and continues to be instrumental in supporting the firm in fast changing financial, operational and technological developments. Edward Walter joined Buss Murton in 2014 having previously practised in Kent and East Sussex for over fifteen years. Edward advises clients on a wide variety of issues ranging from Wills and Probate to Lasting Powers of Attorney as well as Trusts and Tax Planning. 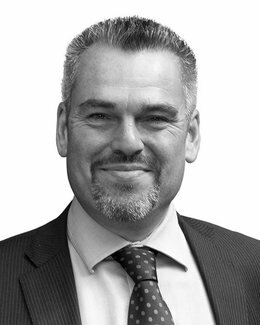 Edward is known not only for his wealth of experience in all areas of Private Client work, but also for his ability to make matters as clear and as easy as possible to understand for his clients and their families. Helen Batt is well-known amongst both the business and local community having dealt with residential property transactions at Buss Murton for the last eight years Since joining the firm in 2007, she has assisted numerous clients in their property transactions and investments and has built long lasting client and Estate Agent relationships both in Tunbridge Wells and extending to other jurisdictions. With wide-ranging experience in all areas of Family Law and as an experienced Barrister and Collaborative Lawyer, Melanie den Brinker has over the last 14 years at Buss Murton, advised clients on a wide range of cases. She is a founder of the West Kent and East Sussex Collaborative Law Group and a member of the Family Law association Resolution. She is highly regarded by her clients and is well-known for her high standards of professionalism and her approachable manner in a difficult area of the law. Andrew Linton, Managing Partner at Buss Murton commented: “These promotions mark an important step in the firm’s growth and plans for the future. We are extremely proud to have such highly skilled professionals in our business. Not only does this show the long-standing commitment and expertise of our employees but also our desire to support all of them in continuing to build successful and fulfilling careers within our firm.